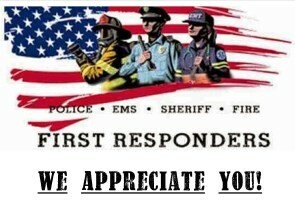 You are invited to Thelma Jones' first ever First Responders Parade! The second graders will lead our guest first responders in the parade. Come out to help us honor these heroes by cheering them on! If you are a first responder available on 9/11 and would like to participate in the parade, please sign up below. You will be served breakfast immediately after.